Last update is forcing Mojave and Xcode 10.2 .... how do I roll back Xamarin.iOS ? How do I roll back to the previous version ? You should still be able to compile Xamarin.iOS projects on an older macOS by configuring the iOS project to link the SDKs in project options. I was in the same boat. I have an older Mac Mini which does not officially support Mojave. However, this patcher tool worked beautifully, without a hitch. It allows you to install Mojave on unsupported machines. 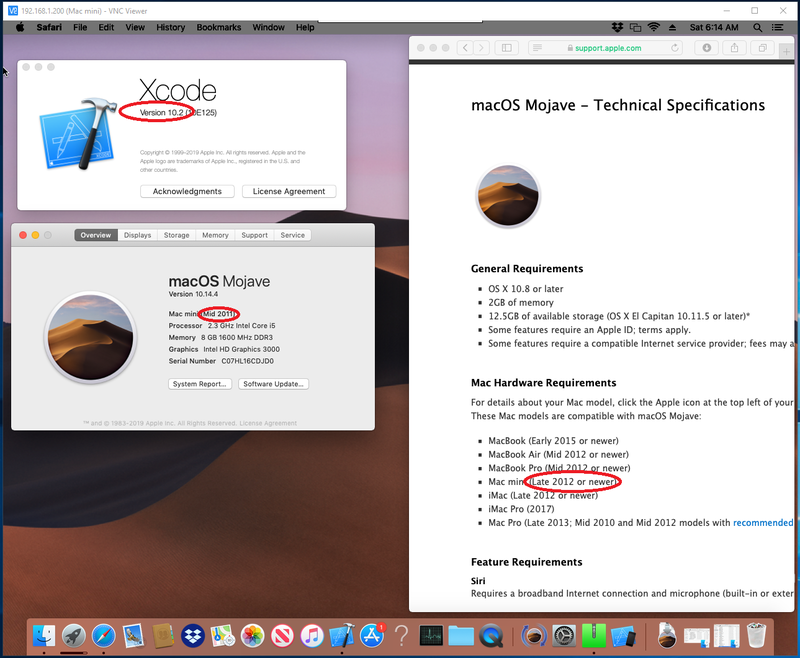 On the left, you see I'm now running Mojave with XCode 10.2 on my 2011 Mac-Mini. I'm now enjoying my Hackintosh Macintosh.